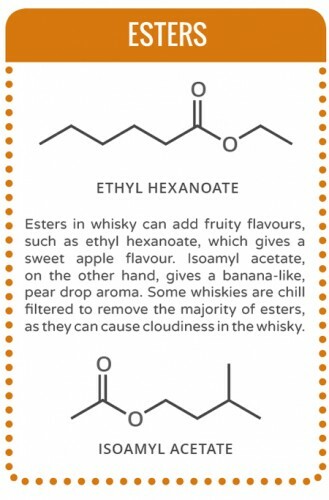 Esters add fruit flavors, while whiskey lactones found in oak barrels impart a coconut flavor. 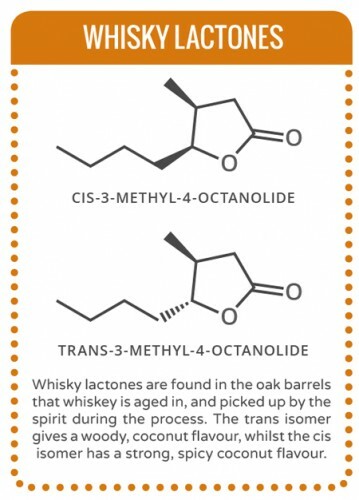 There’s so many different types of whiskey out there—but what makes single malt Scotch taste different from an oak-aged Bourbon? “This, of course, comes down to their varying chemical composition,” explains Compound Science. 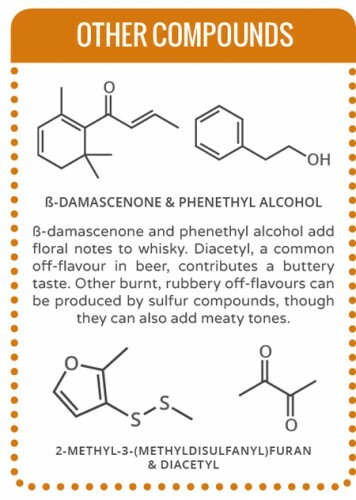 Whiskey contains hundreds of different compounds. These can be influenced by the type of malt and grain used, the distillation process, and the wood used in the barrels used in the aging process. 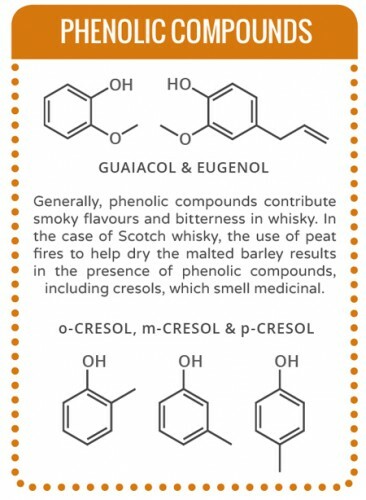 Here’s a look at just some of the compounds that impact whiskey’s flavor. Did that feel like an AP chemistry lesson, or what? 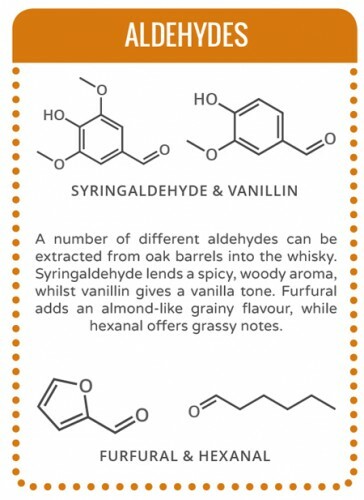 Think you’re ready to make your own whiskey? We suggest reading this Guide to Urban Moonshining before you begin.